Here at Two Tone Kitchens we understand & appreciate importance of your budget. With versatile kitchen ranges and doors options we believe we can create a dream kitchen for any client. Our aim is to provide our customers with highest quality options that fits into their budget. We are able to be price competitive by working directly with manufacturers which avoids any additional unnecessary costs and without compromise on the quality. Our creative ideas and our joinery experience allow us produce kitchens with distinctive premium look & feel even if you are on tight budget. With us you can choose from three different carcasses configurations. Our carcass featuring Hettich mechanisms is our top end carcass choice. Closely followed by carcass which carried the same specification but uses Blum motion mechanisms. 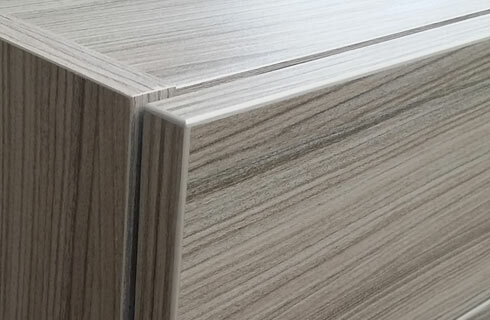 Both of these carcass use 2mm ABS edging, solid 19mm backs, award winning soft close mechanisms & drawers and both made out of high quality Egger MCF. Our budget friendly carcass option features 2mm ABS edging, solid top, soft close mechanisms, easy to fit Cam and Dowel system with complementary wooden dowel pin and is made with Finsa MCF. Here at Two Tone kitchens we believe in offering our customers versatile kitchen door choices. 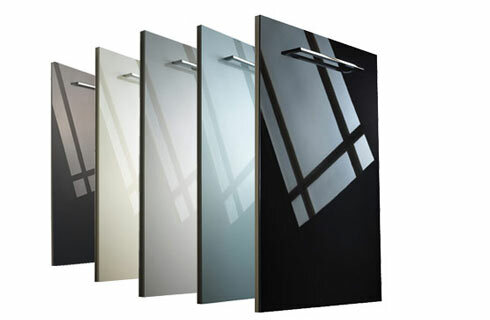 From high end lacquered & unique material doors to ultra affordable MCF doors. Most of our kitchen door options are made to measure so even if you are on a budget we can still create your dream kitchen. Our kitchen door collection includes acrylic, vinyl wrapped, painted, MFC & lacquered kitchen doors.